The camera uses a connection to the Wi-Fi router and it all flowers you to review video as it is going on either is your Apple phone, android phone or your personal computer or Macintosh. It also will alert you if any movement occurs in front of your camera and either your cell or it can send it to your computer. It has a much clearer and higher resolution video transmission to it because of the standard H.264 for coding algorithm that it uses for optimal affect. It is one of the few with a actual web server that is built in so that the master user can remote control to view on your web browser. Another amazing is feature is that it has 1920–1080p wireless camera shooting and you can also use an extra micro Sd card for extra storage for your files. 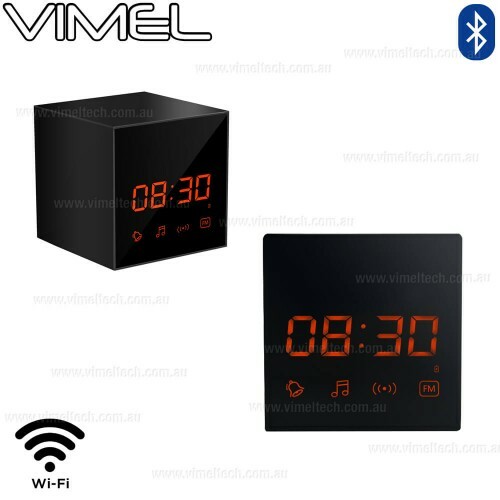 This incredibly high technology product use this feature such as picture taking, recording of sound, chatting online, amazing amount of storage and an alarm clock. It also send an email to your cell phone when any motion is captured on your camera. The micro SD card that you can use is a maximum of 64GB which records and incredible amount of footage. You can use the battery that's included and a power adapter if you so choose. It also has the newest Bluetooth 4.2 capability for optimal sound quality.